Life runs fast and mean in this town. Things in the world of Avicuture have gotten a little heated lately. Due to some events that have all happened at about the same time, things got weird and the weird turned pro. 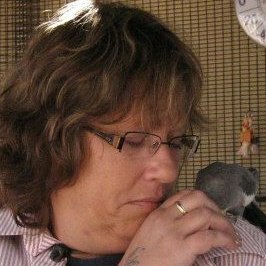 I’m still getting back to full speed from my concussion, so Best Friends Animal Society Parrot Caregiver, Bonnie Grafton took the helm here. She has a few things to say. First off, let me just say that I absolutely love what Best Friends Animal Society tries to do every day and I find their work with Parrots extraordinary. Parrot Garden Manager Jacque Johnson has been at the helm for a few years and has worked tirelessly to promote the Parrot Garden as well as improving and expanding their facilities. 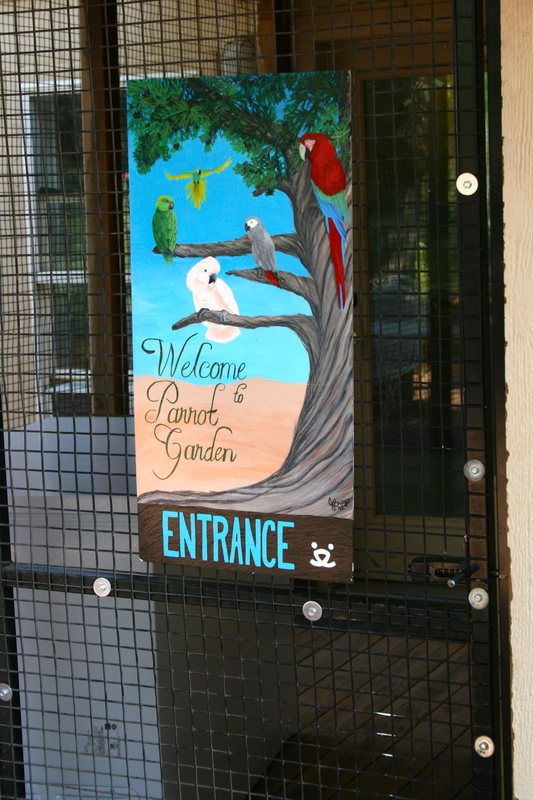 Bonnie Grafton established a parrot supply store in 2009 in Port Charlotte, Florida. Almost a year and a half ago, she joined me, Janet Holt Hilton and Kelly Moore Parsley in Kanab, Utah at Best Friends Animal Society to volunteer. Before I even had expressed my thoughts much less written this, someone told me that I run the risk of being attacked by people on the internet and other people within the industry. That comment alone nearly broke my heart. This is what we have come to already. Anyone that has an opinion that might even *suggest* that the factions in the avian world could get along or find common ground will be crucified. We agree on one thing. We love birds. I’m pretty sure that people who work with dogs love dogs. People who work with children love children. You get the drift. 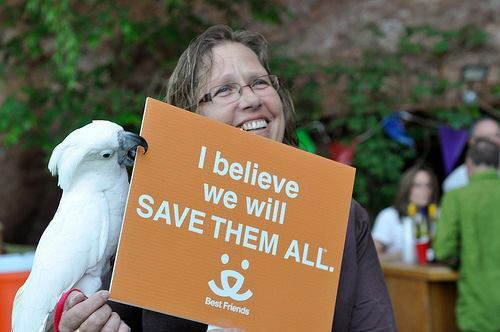 We love birds and the majority of us want is what’s best for them. But what does that MEAN? There are extremists in every cause, every culture, every family. One group of extremists will say birds belong in the wild. Yes, absolutely they do, but that is not an option. 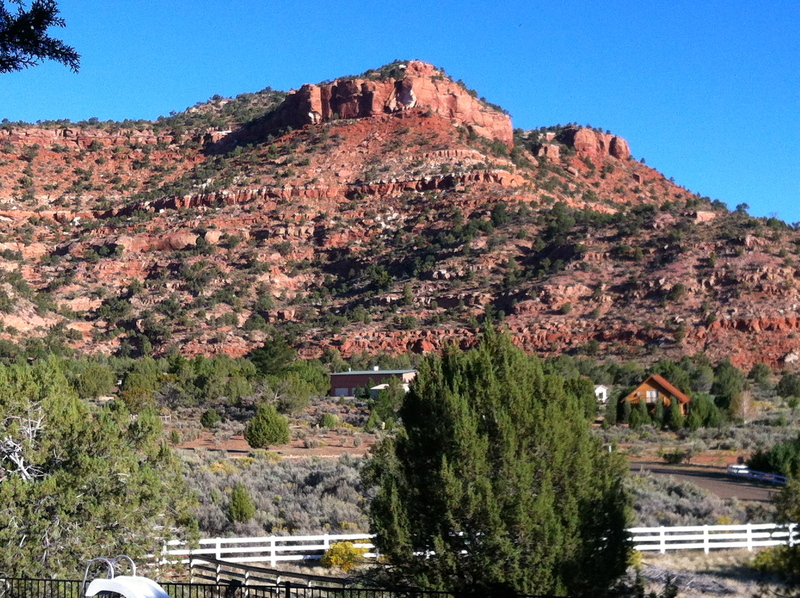 It is a romantic and unrealistic view and not feasible for a multitude of reasons. The next group will tell you birds don’t belong in homes. Again, agreed, but we should have figured that out several thousand years ago. The keeping of parrots has evolved tremendously over the last thirty years or so and we continue to learn. There are untold numbers of people that are successfully living with healthy, happy parrots so I believe we are doing a better job of providing for them. Do they belong in homes? No. Can they be successful in homes? Absolutely. Is everyone cut out for it? Of course not. By the same token not every one is cut out for a human child…or a dog…or anything else that would require a person to be responsible for something other than themselves. Responsibility…what we have created we are responsible for. Does anyone realize that there are many, many former breeders that are now actively involved in rehoming and rescue?? I’m certain that you will find the same in any animal welfare field. It happens…the realization that you cannot guarantee the safety of what you have created for their lifetime. When you get the calls and you have a heart, you take them in. There are plenty of people out there that do this and plenty of them are not rescues at all. They just love birds. At least, I hope that is what the motive is. Rescues and rehoming facilities are full. Yes, I absolutely believe that. I am involved with far too many of you to ever feel otherwise. But..let’s explore why they are full. Do they adopt? If not, why not? If they have made the choice to provide a lifetime for the parrots in their care, my hope is that they would have a plan for the next 80-100 years and enough sustainability to make that happen. 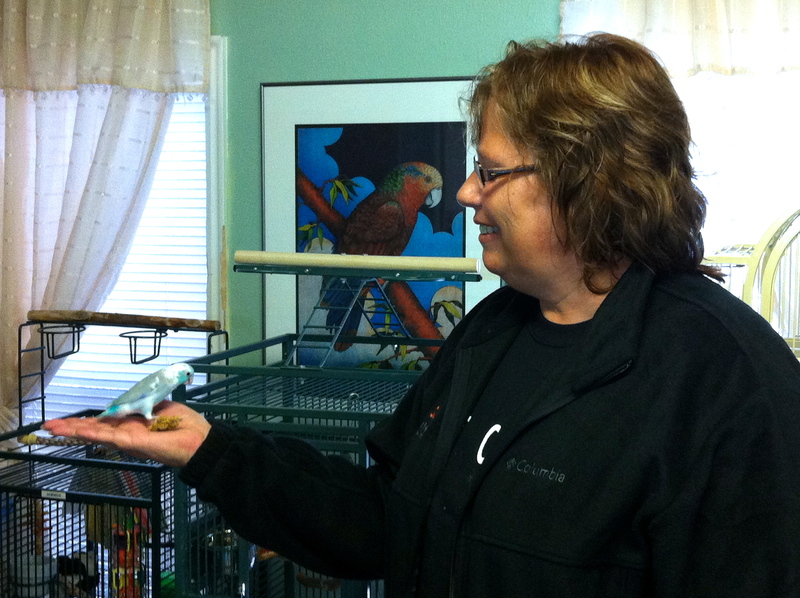 Rescues and rehoming facilities with successful programs are getting parrots into homes at a fair rate. Are there more coming in than going out? It’s likely, but I personally don’t know for sure. I do believe we are seeing a spike in awareness brought on by forums like social media. I attribute our current numbers to the massive breeding that happened in the 80’s and early 90’s. I feel safe in saying they are not breeding parrots in the numbers they were in the past. Will there always be homeless parrots? Sadly, yes. I know that. We need only to look at dog and cat advocates to confirm this. Do I think we should still be breeding parrots for homes? Of course not, but it is my belief. There are those that believe otherwise and while I do not agree, I respect their right to choose for themselves. I’ve had plenty of people knock on my door over the years attempting to convert me to some religion, it hasn’t worked yet. Doesn’t stop them from coming. I will continue to “practice my religion” and if I can convert someone to my way of thinking, so much the better. I try to see the good in people. I understand that there are people in this industry that are here for the money or even the fame (yea,right), but I will continue to believe that this is a very small percentage. I’m sure the dog and cat folks could tell us plenty about that and compared to them, I would imagine our numbers are still pretty small. We’ve got a long way to go before anyone will pay attention to us, but imagine how the people who advocate for our farm animals feel. I would love to see standards of care established. I’ve said that for years. I’d love to see breeders, rescues and sanctuaries regulated and responsible. I don’t know if that is the answer. I don’t know how to get there. It occurs to me that no one does. That’s how I feel. Period. I’m realistic enough to understand that could be a long way off. That doesn’t mean that I won’t continue to try. 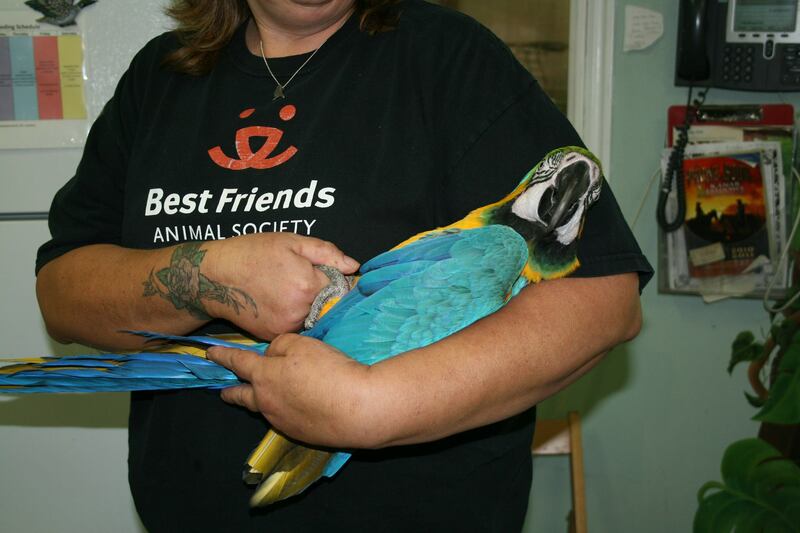 We continue to find homes for parrots. We continue to learn and educate. We continue to increase awareness. We continue to network and support organizations we believe in. We continue to believe that we can create change. In the meantime, I am going to help parrots. While the road that I follow may not be the same road you choose, I wish you well. Such a balanced perspective after the things I have been reading this week. Thanks Bonnie for saying things that many of us have been saying for years, only to be yelled down by the extremists. Realistic and true. I’ve learned from the best, Bonnie and thank you. All we can do is keeping marching forward, caring for our birds, educating people, and trying to place birds in loving appropriate homes. Is it easy? No. Is it worth it? Absolutely. Oh…and for the record. I’m the one that told Bonnie I was afraid she would be attacked for her words. Why did I say that? Because I’ve watched some of the crazy reactions to bird related things in the past year. How we have to scrutinize each picture we post, to make sure there isn’t something there that would cause people to comment negatively. It makes me tired that we have to be so careful about everything we say and do. I very much enjoyed reading this, and I think it is a great article because it covers all of the issues without condemning anyone, I think there are many opinions out there, but I like that this one covers education and information about parrots in a positive manner. Julie, I think Bonnie did a fabulous job. And she spoke from the heart. Bonnie, thank you for writing such a wonderful article. Thank you Bonnie and all care givers. You rock! Totally agree, thanks for all you do. If they attack you let me know, no one hurts my loved ones. I can’t say what I wanted to say any better than Sandy did. You wrote this with the same class that PS always does [btw, I do hope she will be okay very soon]. Thank you for your kind words. I know that there are plenty of rational thinking people out there that are afraid to speak or emotionally worn down to the point that they,like you,feel drained. It bothers me tremendously that there is an impact on volunteers. I guess I hadn’t looked at it from that perspective. You are the backbone of what we all do. We could not do this without you, I hope you know that. And I’m sorry. What your words did do is strengthen my resolve to not sit quietly by. I hope that in the coming days we will see the better side of the avian world.